Preventative Maintenance of Rolex Watches in Marina Del Rey! 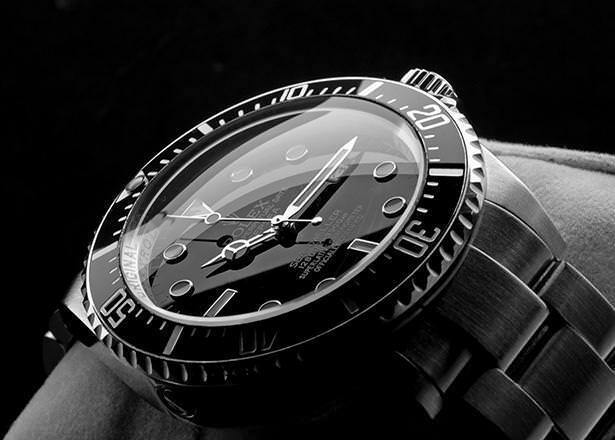 Marina Bay Watch Company specializes in Rolex watch repair and service in Marina Del Rey, California. Service upkeep for a Rolex is a critical part in maintaining your watch properly. Our highly trained watchmakers specialize in the overhauls of a Rolex movement. If your watch fails in any way, our watchmakers take great pride in fixing your Rolex. It is our priority that every service we provide meets Rolex Factory Specifications. Our online reviews prove that we are one of the best places in Los Angeles to get your Rolex serviced. Overhauling a Rolex involves a complete disassembly of the mechanism, and each component of the movement is thoroughly cleaned. Our highly trained experts do a careful inspection for any damaged parts and replace if necessary with original parts. With every Rolex service we provide, your mainspring is replaced to ensure your watch properly functions for years to come. When we have completed the service, rigorous timekeeping accuracy and thorough adjustments are done for 72 hours as part of our quality control. Once we are assured your Rolex is functioning properly, all the gaskets are replaced to maintain the original factory water resistant properties. And lastly, your case and band is meticulously polished to restore your timepiece to look practically new again. Maintenance upkeep on your new, antique, or vintage Rolex watches is very critical in maintaining your watch properly. Our company provides extensive service and repair on the following Rolex watch models: Air-King, Cellini, Datejust, Day-Date including Presidential, Daytona, Explorer, Explorer II, GMT MASTER, Milgauss, Oysterdate, Oysterquartz, Submariner, Sea Dweller, Yacht-Master, and Oyster Perpetual Sky-Dweller. The repairs and services for Rolex watches we provide include: mechanical wind, self winding, quartz, and chronograph movements. Some of the services we offer for Rolex watches are crystal replacements, crown replacements, battery replacement, dial refinishes, dial replacement, custom diamond dials, case refinishing, band refinishing, band repair, band sizing, buckle repair, buckle replacement, clasp repair, and polishing. If you are having a problem with your Rolex, or you just want us to service your watch for preventative maintenance reasons, feel free to bring it to our experts and we will give you a free estimate while you wait. The most common reason why a Rolex needs service is usually because the watch is running slow, or running fast. Most Rolex watches are mechanical and the mechanisms dry up after a few years and need lubrication. Other reasons why you might need our services are when your Rolex watch just completely stops. Our highly trained experts are here to help you with any of your Rolex repair needs. The bracelet is completely removed from the watch case. Then the case is opened, crown and stem are removed, crystal is removed, and the movement is completely dismantled from the Rolex case. The movement is completely disassembled, and our watchmakers carefully clean each Rolex component of the mechanism. Every Rolex component in the movement is ultrasonically cleaned using only the highest quality of cleaning solutions. Every Rolex moving part is meticulously lubricated using only the highest quality of synthetic oils. Carefully lubricating gears prevents friction and will avoid future damage on any of the Rolex components of the movement. Preventative maintenance will assure you that your Rolex will last for many more years after it is serviced. The most important factor in your Rolex movement for timing the mechanism is all in the balance wheel. We carefully calibrate your movement so it will function properly and maintain the proper time. Your band and case is meticulously refinished to restore the watches original luster and shine. The bezel is completely dismantled from the case so we can refinish the case and bezel to look brand new again. All theses Rolex parts including the link screws are ultrasonically cleaned after this process. After the cleaning process, your bezel, crystal, and band are carefully put back together. Following our thorough maintenance procedure with your Rolex, your crystal, case tube, crown, and back gasket are all replaced and sealed with every service. Upon vigorous water-testing, if your watch does not pass water resistance, your case tube and crown will be replaced. Finally your Rolex is ready to be water-tested to ensure your watch is ready to go diving again. Refer to our page that gives a complete explanation for the purpose of water-testing. Upon the completion of your repair, our technicians give careful examination of proper time keeping. We use state of the art Rolex winding machines made by Bergeon to test the accuracy of your watch for 72 hours. Recommended service time for Rolex watches should be every 3-5 years. Every Rolex service and repair comes with a one year warranty. We look forward to assist you with your next Rolex repair or Rolex service.